For our second foray into the depths of dementia, we’re looking at why people develop the condition, the different types and how to spot the signs. I’ve got a lot of time for anyone over the age of 75. They don’t take any rubbish, have great stories and somehow manage to strike a balance between adorable and cantankerous – something I’ve been trying to achieve since I was a kid. The only problem with older people being stone-cold legends though is that it can be hard to spot when they’re being eccentric and when there’s something more sinister going on. Dementia, for example, can come on very slowly, making it hard to recognise the signs. 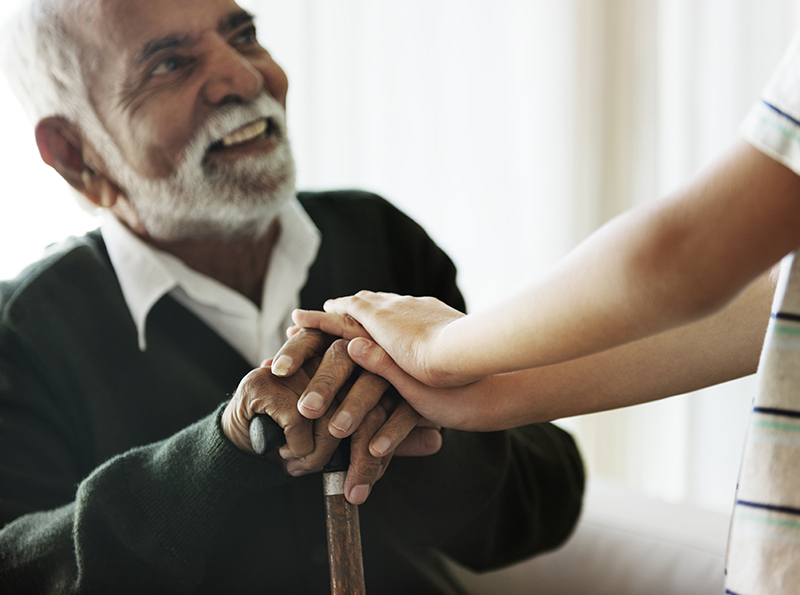 Diagnosing dementia as quickly as possible is really important for managing the symptoms. 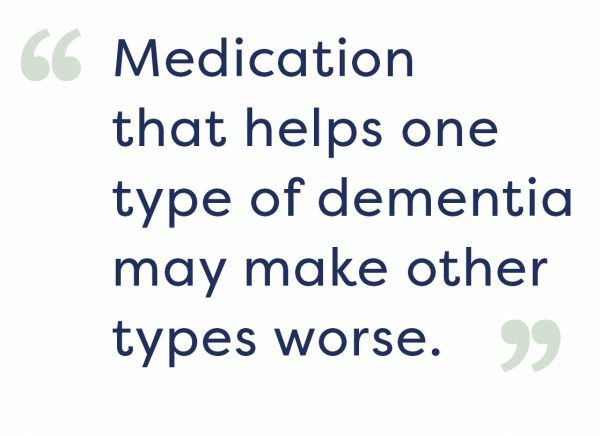 It’s equally important to figure out which type of dementia it is, as medications prescribed for certain types of dementia may make others worse. What are these different ‘types’ of dementia I hear you cry? To help you get clued up, we’ve got the lowdown. Alzheimer’s is the most common cause of dementia, occurring when connections between the brain’s nerve cells are blocked by a build-up of protein. It can also be caused by a lack of the important chemicals that send messages around the brain. Short-term memory loss is the earliest sign that something isn’t quite right. Getting muddled in conversations, or getting lost on a well-known route, may also become more frequent. As the disease goes on, they may even start to hallucinate. In some cases they might become aggressive and agitated, all of which is really upsetting for those around them too. Vascular dementia happens when the brain can’t get enough blood because of something like a stroke or diseased cells. This causes the brain cells to die from a lack of oxygen, which is a whole world of bad. Problems concentrating and thinking more slowly are common in the early stages of vascular dementia. These can develop into memory and language problems, and struggling to see things in 3D. In extreme cases, it causes hallucinations, delusions and personality changes. Other symptoms will depend on the type of vascular dementia – such as whether it’s caused by a stroke or something else. DLB is a rarer cause of dementia but is also caused by protein deposits in the brain. In both DLB and Alzheimer’s it’s not clear why they appear or how they cause dementia. The deposits are also a common cause of Parkinson’s disease, depending on where they sit in the brain. Symptoms of DLB often look like a mix between Alzheimer’s and Parkinson’s. Concentration will probably be affected, causing people to zone out for long periods of time. It also causes hallucinations for a lot of people, making them confused about what they’re seeing and hearing things that aren’t there. FTD is caused by damage to the ‘frontal’ or ‘temporal’ parts of the brain because of problems with the nerve cells. FTD is most common in people under 65. There are several sub-types of FTD but the most common can cause personality changes, such as aggression or irritability, and even changes to food preferences. This will be more extreme than just growing to like Brussels sprouts with Christmas dinner – if a life-long hater of sweets suddenly converts to an all-cake diet it might be something to keep an eye on. Another type of FTD affects speech and the ability to recognise everyday things. There are other causes of dementia other than these top four though, so if in doubt ask a doctor. Our charity partner Alzheimer’s Society also has loads of good information on the different types and symptoms. Tune in next week to find out what you can do to reduce your risk of developing dementia.